A federal bill to ban animal testing for cosmetics was introduced on Wednesday by Congressman Jim Moran, D-VA. The Humane Cosmetics Act would make it unlawful for anyone to conduct or commission cosmetic animal testing in the U.S. and would prohibit selling or transporting any cosmetics if the product was manufactured using animal testing. 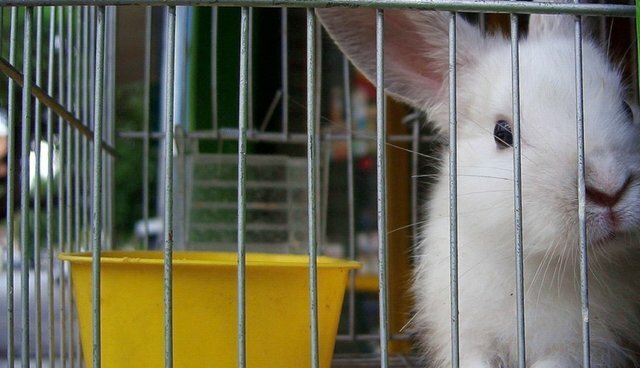 Animal advocates are saying that the move is a major step towards banning cosmetic testing on animals, a practice they say is cruel and unnecessary. "Americans deserve to have access to safe and humane products, and there is no compelling need for animal testing for cosmetics," said Wayne Pacelle, president and CEO of The Humane Society of the United States. "We thank Congressman Moran for his leadership on this legislation, which will align the U.S. with the global trend moving away from animal testing of cosmetics. We have powerful and reliable alternatives available and it's time to embrace those new technologies and stop harming animals for unnecessary reasons."